1. Cook spaghetti in boiling water until al dente. 2. In a saucepan, mix chicken and ¼ tablespoon salt. Cook in medium heat, constantly stirring until liquids have evaporated. 3. Add sayote and carrots. Cook for 1 minute. 4. Add diced tomatoes, garlic powder, onion powder, ½ tablespoon salt and black pepper. Cook for 1 minute. 5. 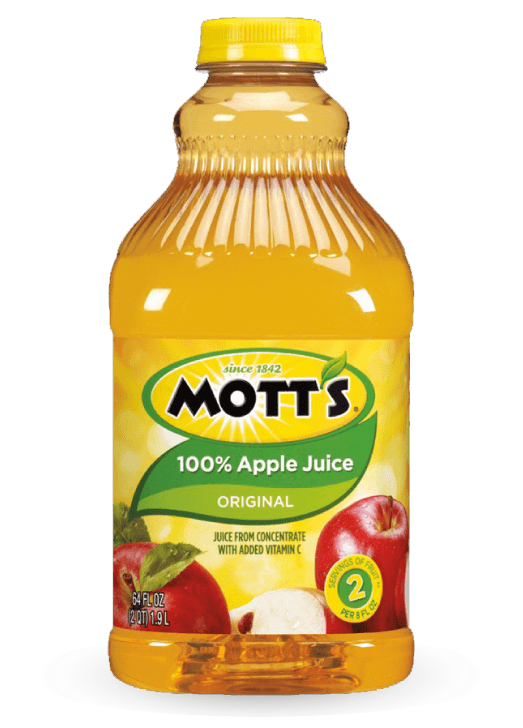 Add Mott’s 100% Apple Juice and milk. Allow to boil. 6. Add ¼ tablespoon salt. Allow to boil. 7. Add 20g cheese. Cook until sauce thickens. Remove from heat. 8. 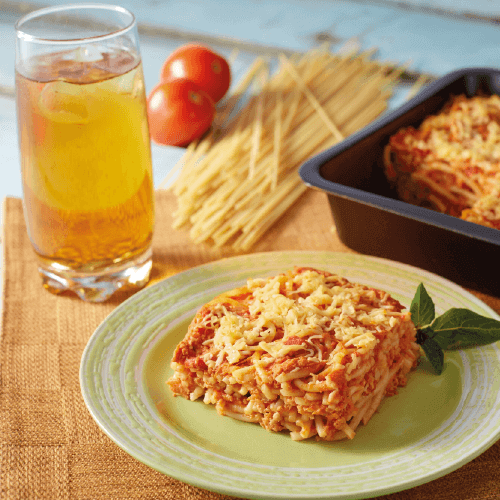 In a square baking dish, pour 3 ladles of sauce and add 20g cheese. Add remaining half of the noodles. Pour the rest of the sauce and top with cheese. 9. Bake in preheated oven at 180°C for 20 minutes.